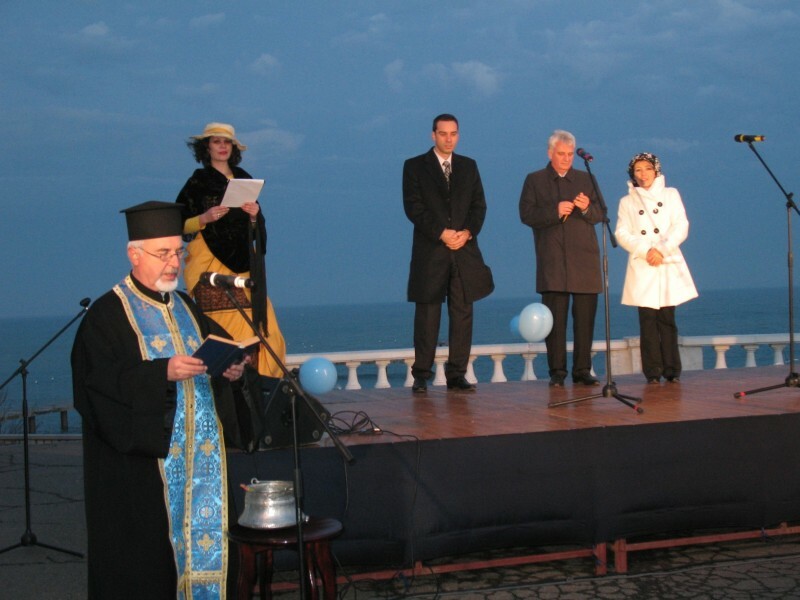 Prominent intellectuals, distinguished politicians and representatives of the big business in Burgas gathered to rediscover one of the most typical symbols of the seaside town. 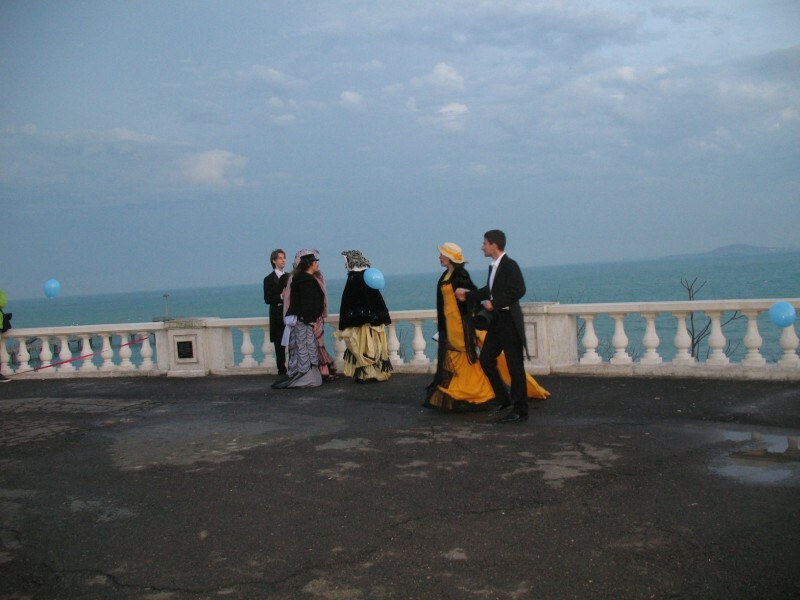 Despite the windy and cold weather one of the most popular not only in Burgas personalities came on Thursday eve in the Sea Garden at the white stone parapet above the sea. They were united by the cause to revive the symbols and beauty of the city as a message for the future generations. 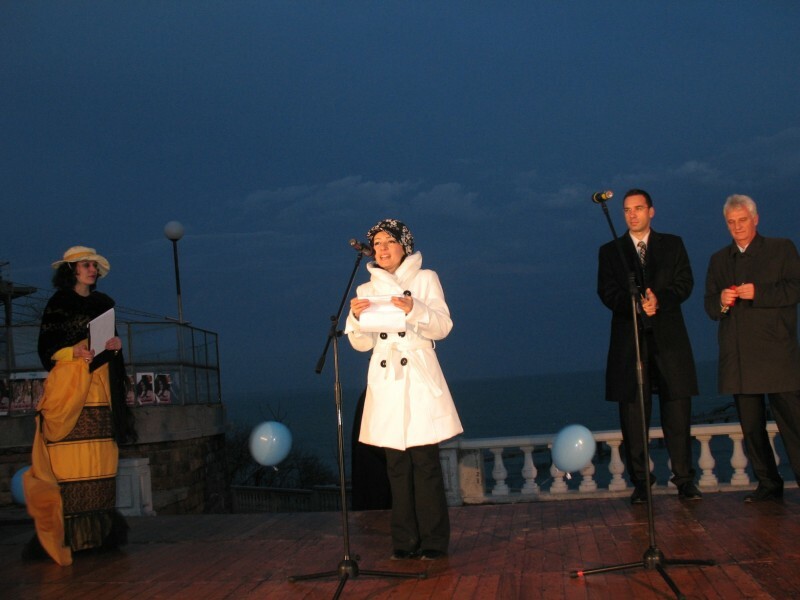 The occasion, that managed to bring together the Burgas elite, was the restoration of the old stone parapet located above the sea. The facility, which is a cultural monument and was build more than 60 years ago by one of the most famous Bulgarian architects Delcho Sugarev, was vandal destroyed time ago. For 10 years the most emblematic place of Burgas was disfigured by a rusty metal barrier placed where the ruined exquisite parapet was. Its recovery was done with authentic material and original proportions entirely by PR agency Image Advertising. The parapet was rebuilt with original Rousse stone, processed and fitted by master masons of the town of Sandanski. The noble initiative was implemented in cooperation with the Municipal and Regional Administration of Burgas. The event was attended by: the governor Lyubomir Panteleev, the Burgas Mayor Dimitar Nikolov, the chairman of Burgas District Court Sabina Hristova, the chairman of SEC party - Georgi Manev, representatives of various political forces. Especially for the event came managers of large enterprises, such as Toplivo - Burgas, Black Sea Coal Mine, Burgas building association, Tokuda Bank, DHC Burgas and other, representatives of the light industry, construction and advertising business, lawyers and journalists. 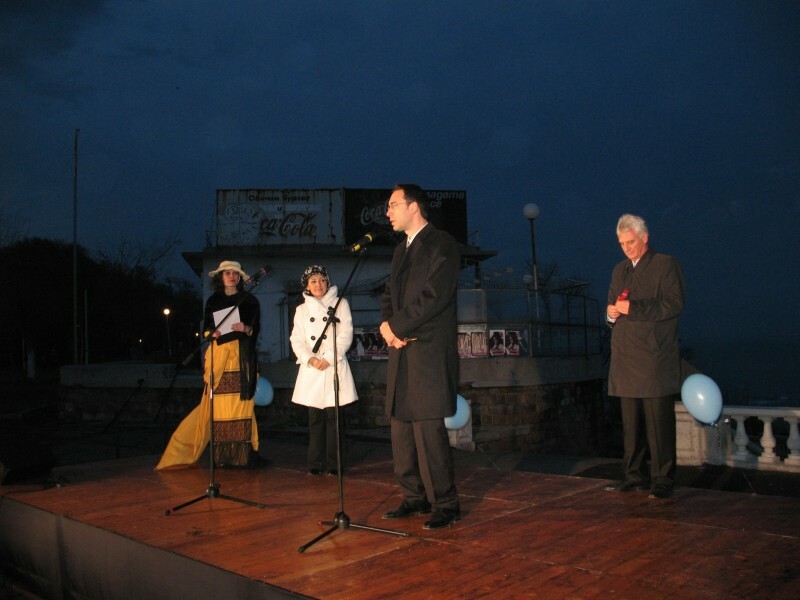 The Burgas intellectuals were represented by nationally famous names like Stefan Diomov, Nedyalko Yordanov, Vanyo Valtchev, Plamen Stavrev, the director Simeon Dimitrov, actors, singers and musicians. 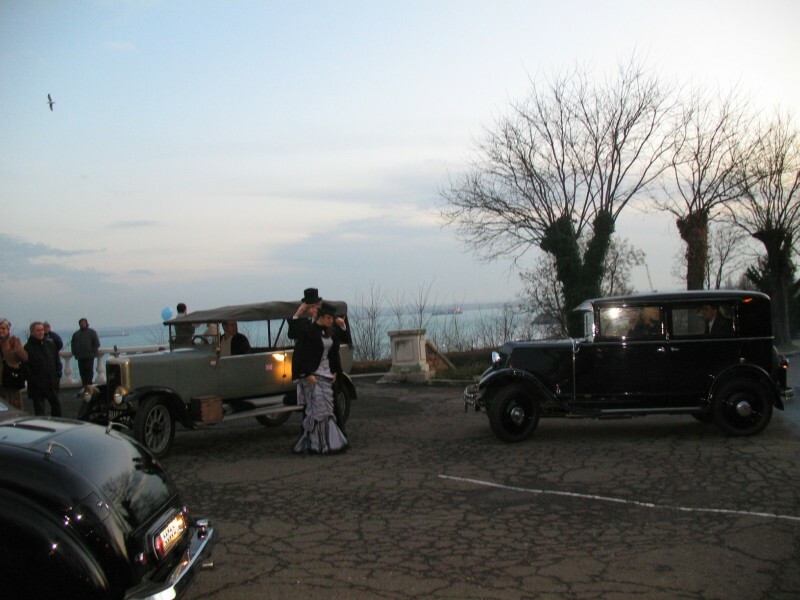 The city Brass Band and retro cars from the past century recreated the authentic atmosphere of the old Burgas, at the time when the unique stone parapet above the sea was constructed. Especially all the way from Sandanski, arrived the masons who created and fitted the balustrade with their director Emil Andonov. 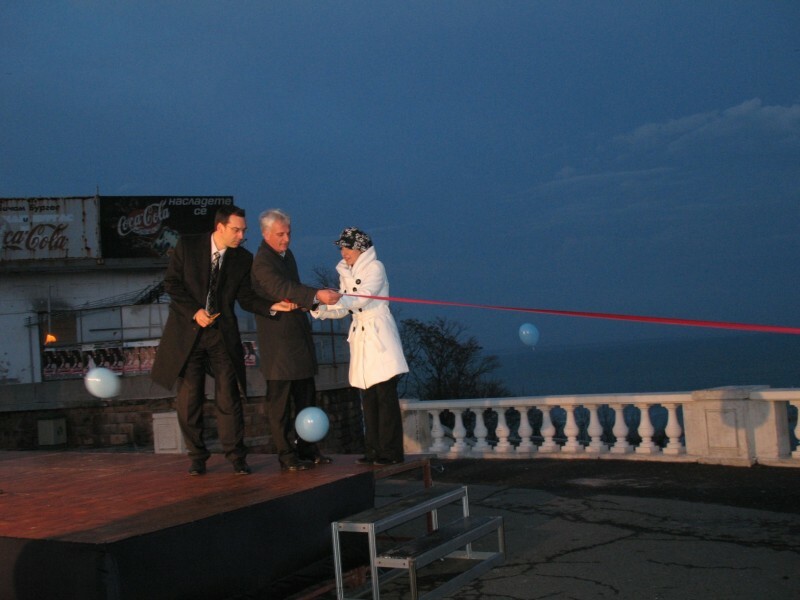 Personally the Mayor Dimitar Nikolov and the governor Lyubomir Panteleev cut the ribbon of the unique revived from the past parapet, along with the manager of the Image Advertising Alberta Alkalay. "I am happy that I&apos;m here on this event and I do thank the initiators, which materialized their love for the hometown! The parapet is a monument of culture and it was not at all easy to arrange all the formalities. 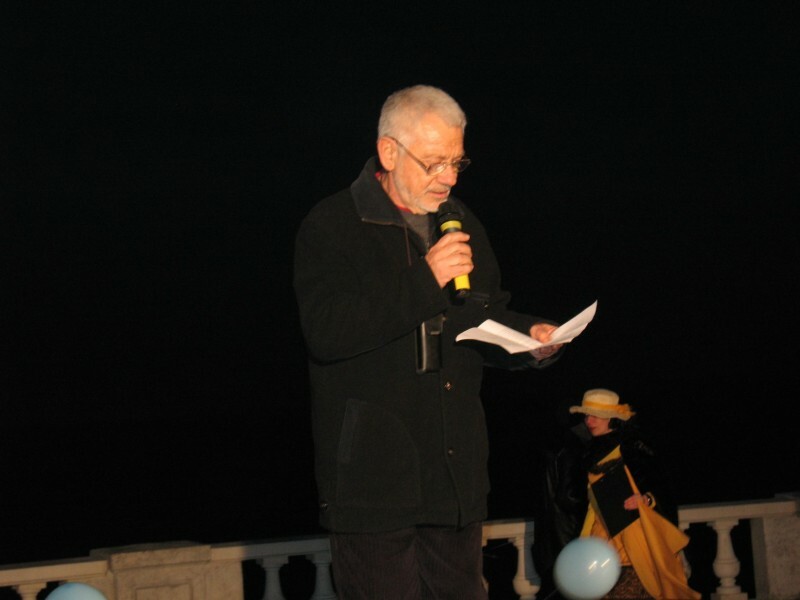 But with the help of the regional administration we managed to get all the permissions for restoration of the Burgas parapet ..." Mr. Dimitar Nikolov said. He promised that soon will begin the restoration of the whole complex of the Sea Casino, part of which is the stone parapet above the sea. 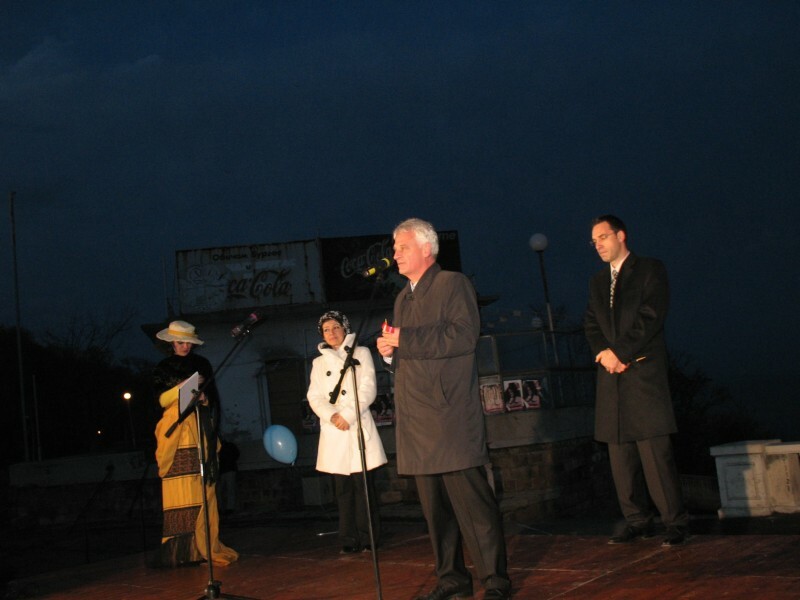 The governor Lyubomir Panteleev admitted that the Parapet of Burgas is the only place that attracts all for meetings or separation as a magnet. "When private initiative is united with public interest, a very good example of partnership is born. I hope we will have more examples like this in the future for the sake of good and beautiful in our lives!" Panteleev wished and did not forget to specially thank Alberta Alkalay for the efforts of the young team of the group. "The dimensions of time and space, material and spiritual, intersect at the parapet overlooking the sea. We do this as a message, to the posterity as a debt to the memory of our ancestors! The revival of the Parapet is not just local, Burgas one, but a national deed too," Alberta Alkalay said as main originator for the historical event. "On the photographs in the family album I see my then young granddad to walk down to the sea, and behind him there is in all its glory, the bent, multicolumn Burgas parapet located on the famous Burgas terrace. One, that cannot be seen anywhere else on the entire Black sea coast. One, that opens a unique look. I see myself as a child, up on the parapet; I see my family and children, photographed inevitable in front of the sea, on its background. Then I see my grandchildren in front of a metal military- police barrier on the same place. Small work - someone will say. Just a parapet. Much ado about nothing. Bulgaria is currently at a crossroad. Many young Bulgarians do not live with the thought of the native, the home, the town they are born in, the motherland. The restoration of the parapet, as it was is a unique act that must be followed. I thank those who helped to cure this long standing wound! ", was part of the revelation of Nedyalko Yordanov. 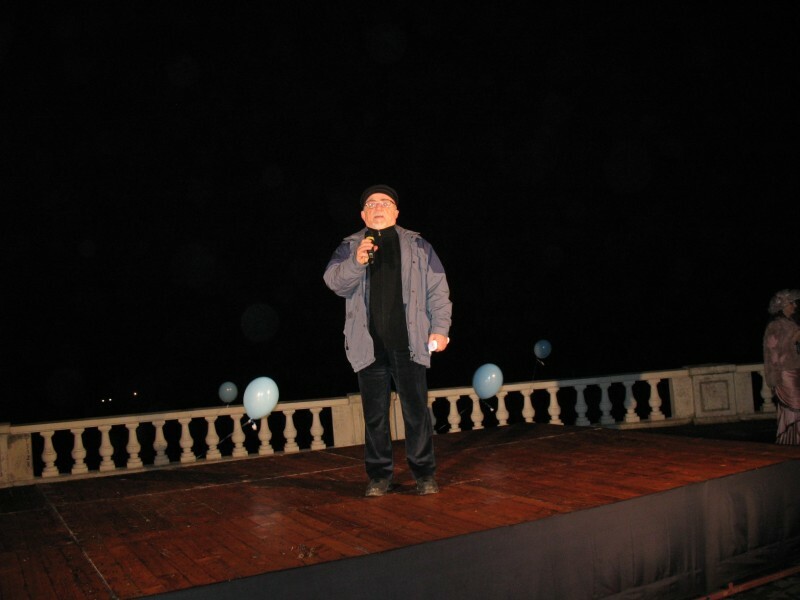 His colleague - the great poet Vanyo Valchev, red a wonderful new poem dedicated to the sea: "Of Love" and said that his first reminiscence of Burgas is related precisely to the eternal stone parapet. The new Youth Group of Stephen Diomov was incredible in their performances and showed that the musical talent of Burgas will again swell into the inside of the country. 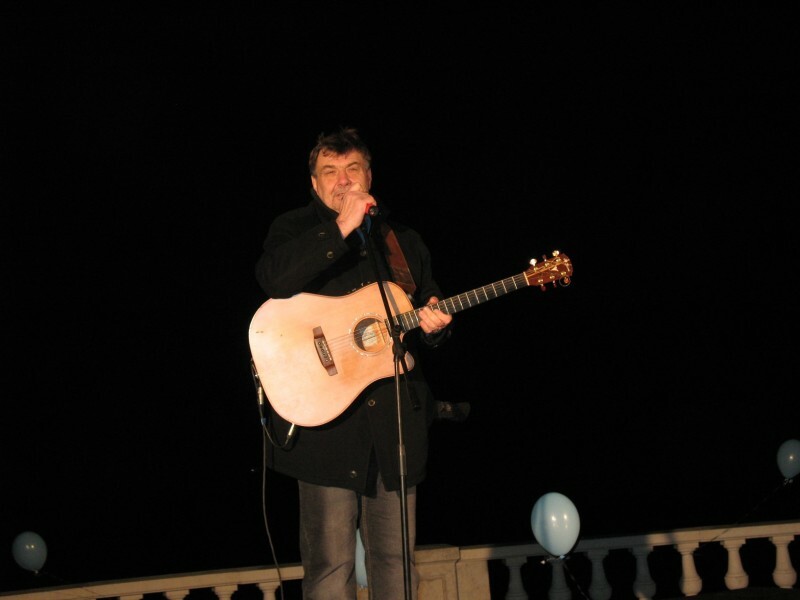 Plamen Stavrev struck all present with his inimitable performance of "Burgas nights" that became an anthem not only of Burgas, but of the most cherished moments for millions of Bulgarians too. The performance of the great bard at the height above the bay sounded sacred and excited the public. Spectacular fireworks lit up the Burgas Bay and the souls of the people with the message that the revival of a symbol not only of Burgas but of Bulgaria too will not be an accident, but will be extended in the deeds of all patriots.